Olivia O' Hanlon is delighted to win the Church Singer of the Year at the weddingsonline Awards 2018! 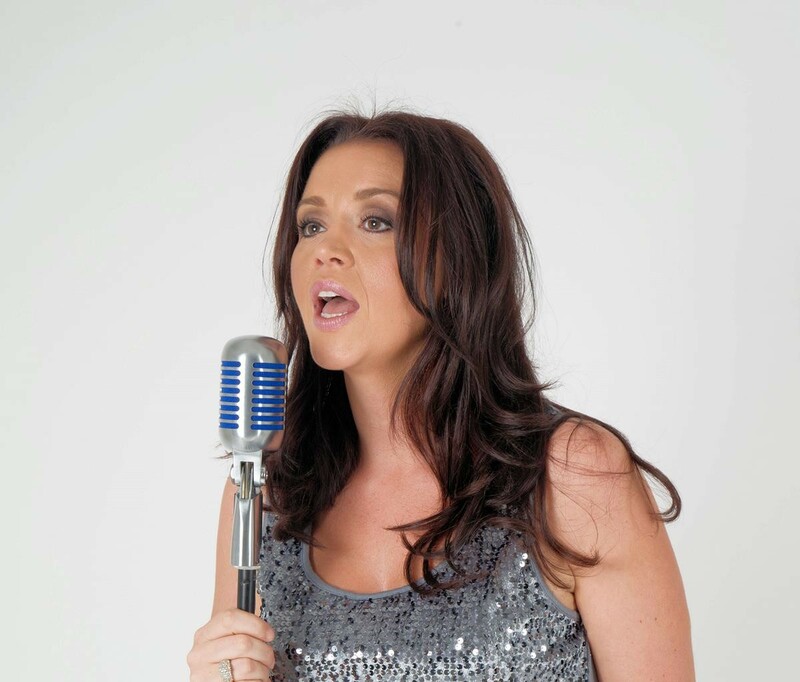 The multi award winning singer has over 25 years experience of singing at weddings, events and music theatre productions. She has a very distinctive tone which lends itself to different styles of music. Olivia's voice has been described as both atmospheric and passionate and can captivate any audience. Olivia's main focus is providing the most moving and memorable wedding music for your special day. Professional music accompaniment and equipment are provided. 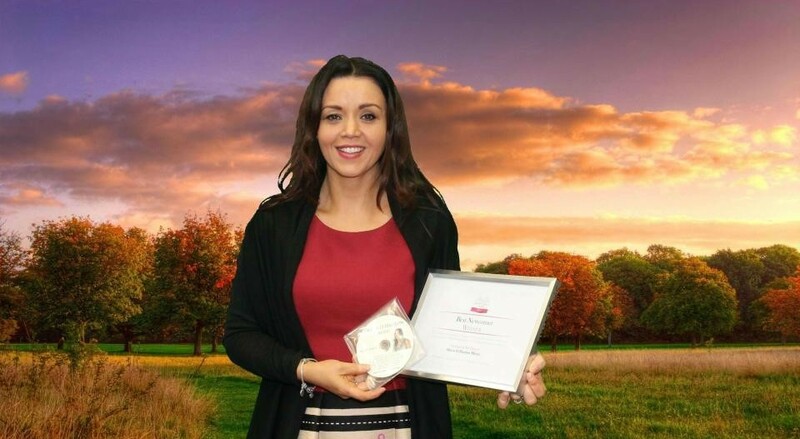 Olivia is based in Sligo but travels all over Mayo, Donegal, Roscommon and Leitrim too. Why not call Olivia today to see if she is available to making your special day memorable? Whether it is a church, civil, humanist or spiritual wedding ceremony, Olivia can draw from her broad repertoire of songs to recreate a relaxed and romantic atmosphere. She has the perfect level of professionalism and experience to ensure that every occasion runs smoothly and stress free. 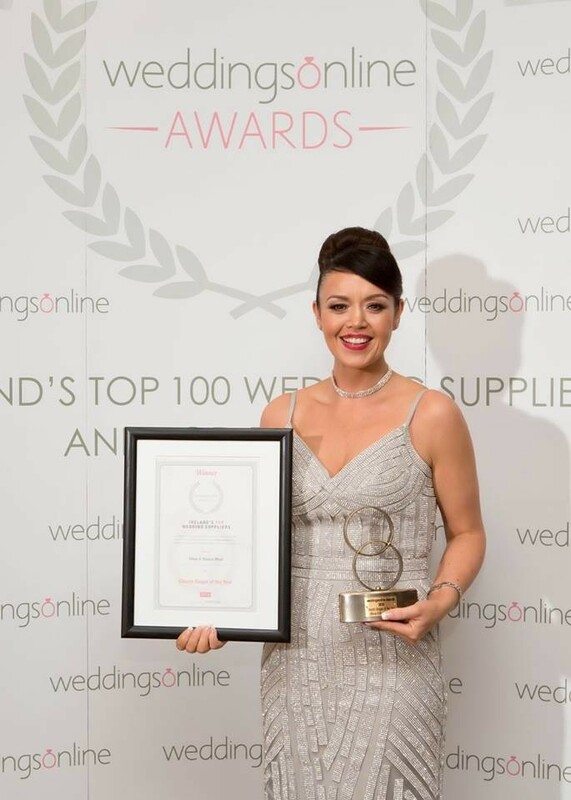 Olivia has created stylish arrangements of timeless & contemporary songs offering something for all musical tastes while still in keeping with the tone and ambience of your wedding surroundings. So while you are busy taking those memorable photographs you can rest assured that your guests are being entertained as she gently serenades them, creating the perfect atmosphere in which to relax and mingle. Olivia O'Hanlon Music - Wherever you go from JMB Videos on Vimeo. We had Olivia as our wedding singer for the ceremony and we can’t recommend her highly enough!! She is an absolute delight to deal with, extremely professional and her voice is just amazing! She made our ceremony so special and I absolutely love her version of Mo Ghra Thu! Thank you so much for having me part of your special day. It was such a beautiful wedding ceremony. Wishing you both a lifetime of happiness. We recently had Olivia sing at our wedding ceremony and reception. From the first contact we had with olivia she was helpful, friendly and approachable. She was very flexible with my song choices, nothing was an issue. She answered any query I had quickly. The music during the ceremony was just amazing as is her voice, I love it! So many guests asked for her name the next day. She made our ceremony so special and I would highly recommend her to anyone. We had Olivia sing at our church ceremony for our wedding. Olivia is just amazing at her job. She is a fabulous singer,very approachable,very accommodating and always available to take calls. Nothing is a problem for olivia. Olivia made our wedding ceremony so special with her singing and our wedding guests were all talking about how wonderful the singing was at the ceremony. We would definately be recommending olivia. We had Olivia booked for our wedding ceremony and drinks reception in September this year and she was absolutely fantastic everyone complimented on the music, she was definitely one of the highlights of the day, from the time we booked Olivia right up to the week of the wedding she was always at the other side of the phone to help with choosing songs or any questions we had.The ceremony was so relaxed listening to her beautiful singing would definitely recommend to any future couples. Olivia is an absolutely amazing singer!!! Her voice captivated all our guests and made our day so special!! Olivia is fantastic. Her voice is amazing. All our guests were blown away with her . Olivia was very attentive and talked us through what we needed to know. She gave us so many song choices to pick from. All of which were brilliant. We're so glad that we chose her for our wedding singer. Thanks so much guys for having me. I loved your last song and I think it really got everyone in the mood for a party. Excellent choice. Wishing you both all the very best in your lives together. Olivia’s voice is out of this world. A moment that will stay with me forever was hearing her fabulous voice as the doors of the church opened and as I walking up the aisle. So many guests commented on her and her piano accompaniment’s talent. Olivia has a wide range of beautiful songs to choose from and would do any of them justice. All communications were clear and consistent. I couldn't recommend Olivia enough as a wedding singer. I could not decide on music for the day and she was so helpful, patient and accommodating. Everyone complimented on the church music at the wedding and I am still getting great reviews about it. Olivia sang at our wedding ceremony and she was amazing, makeing our ceremony all the more special. Right from the first moment of contact Olivia was so easy going. When it came to chosing the music, no song choice was an issue and she delivered on the day with such excellence, we couldn't recommend her highly enough. Olivia was excellent from the 1st phonecall we had.she helped us choose which music suited best with our service.olivia's voice is just amazing we would 100% recommend her???? 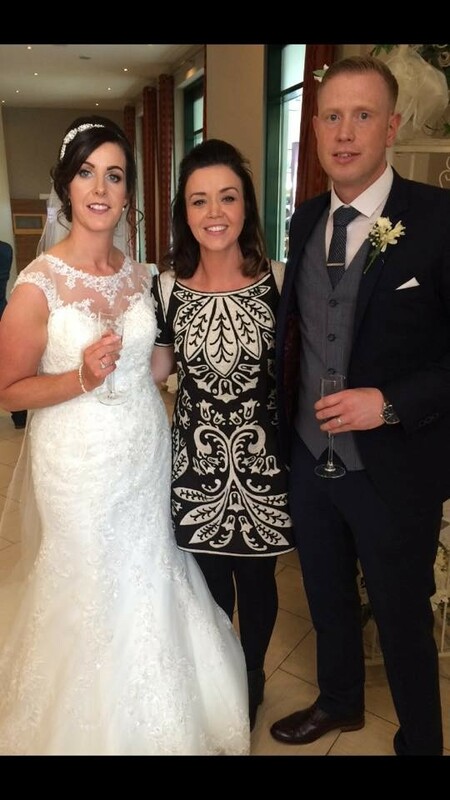 We saw Olivia at a wedding showcase in Kilronan Castle and were thrilled that she was free on our date. She gave us a CD to listen to on our way home and we booked her that evening. Everything was so efficient and professional. Olivia was always quick to respond and made it super easy to pick the songs for the church. 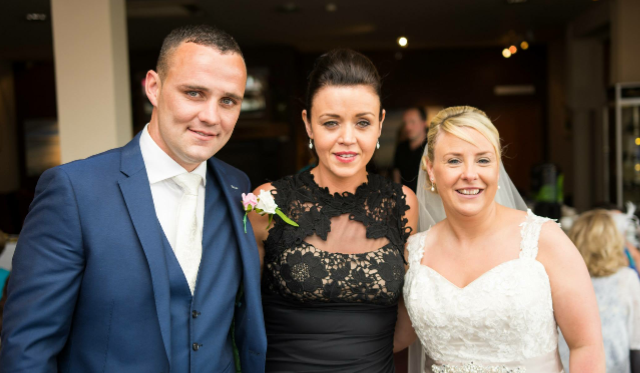 She has a huge range to choose from, we are massive Picture This fans and were able to incorporate that into the ceremony together with more traditional Irish songs. Olivia was a massive support to my husband when he contacted her to say he wanted to surprise me by singing me up the aisle. She arrived really early to the church and helped him to rehearse, making him feel at ease. The video has since gone viral which is insane! I couldn't recommend Olivia highly enough as she was an integral part of our day and she was amazing. Olivia was a joy to deal with from our first enquiry to our wedding day. We fell in love with her voice listening to her Soundcloud and met with her to go through some ideas; she adores music and as a result is so open to singing a wide range of genres. Olivia sang during our wedding mass accompanied by her keyboard player and then came back to our wedding hotel whilst the drinks reception was on to perform for an additional couple of hours. We're so glad we hired Olivia to provide entertainment for that part of the day and would recommend her for any event. We were lucky enough to have Olivia as part of our wedding ceremony. Her voice is so special and truly impressive. Olivia was always on hand to answer any question or query or to help choose songs. Olivia made our ceremony so special and our guests were swept away with her voice and how it filled the abbey. Olivia you made our ceremony unforgettable and your voice is something to cherish. I would highly recommend Olivia to any couple you won't be disappointed. Olivia was fantastic and I cannot recommend her enough! We are from Belfast but got married in Sligo. She was recommended highly to us and I would not hesitate to recommend her to others. She was so accommodating about meeting up with us before the big day, went above and beyond to help out when she could and was just a amazing on the day. We were so happy that she was willing to play some of our favourite songs which just made the day for us! Other people kept commenting about the wonderful wedding singer we had in the church also! Olivia was so lovely to deal with and gave great advice on song picks. Her voice and professionalism is amazing. We could not have been happier with her service. 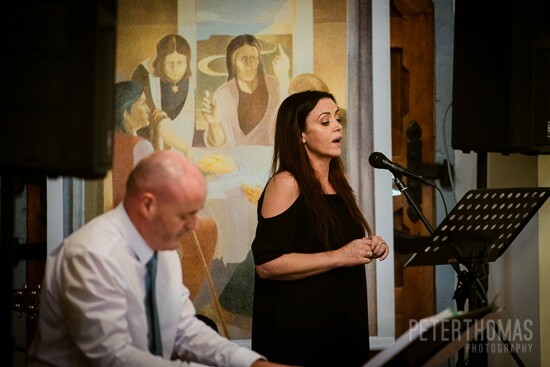 Olivia sang at our wedding in July, our guests are still raving about how brilliant she was. Olivia is a lovely person to deal with and she was so very helpful with helping us chose our music and nothing was a problem. I would highly recommend this beautiful lady. A voice of an angel. Olivia was really easy to deal with & took away any stress related to arranging the music. She provided lots of helpful advise & was always available to answer any questions. Our Guests loved the music & I would highly recommend working with Olivia. Olivia was a great help to us in choosing the music for our civil ceremony. She was a pleasure to deal with and provided an exceptional performance on our big day. She is a total professional. Even a last minute change of location from indoors to outdoors to benefit from the nice weather didn't bother her and her accompanist. Many of our guests commented on her beautiful performance. We had Olivia for our ceremony she was absolutely fantastic from the minute I spoke to her on the phone right up to the day she was very helpful and professional. I cannot recommend Olivia enough she made our day so special. Olivia is amazing. So many people commented on how good she was at our wedding a couple of weeks ago. Her voice is outstanding and she really set the tone for our day. She was a pleasure to deal with in the run up to our wedding and was so professional yet relaxed. We would highly recommend her for weddings and events. Olivia provided beautiful music for our wedding ceremony, she was so easy to deal with and so accommodating. Her voice is just beautiful. Olivia was a true professional from the day we booked her to sing at our drinks reception on our wedding day. She was efficient, organised and very easy to deal with from the start. Olivia has an amazing voice and is an incredible talent. The music and singing was perfect for our drinks reception and added greatly to the atmosphere. We would highly recommend her to future couples. Thank you Sarah for taking the time to send in a review. It was a pleasure to sing at your drinks reception. You looked stunning on your wedding day and hope you had a great day. Wishing you both all the very best in your lives together. Olivia sang our our wedding mass in May, she was so easy to deal with, really helpful with picking songs and always so professional and friendly. Her song selection was brilliant and on the day she didn’t disappoint as her singing was beautiful. So many people commented on our music. Olivia sang at our wedding, she has such a beautiful amazing voice and really added to creating a perfect ambiance on our special day. I would highly recommend Olivia she has an amazing voice and great personality. She is very professional in what she does and offers fantastic guidance in choosing the right songs. We have nothing but positive things to say about Olivia and her beautiful singing on our wedding day. From learning a new tune to play for us, to being so helpful in the lead up, to her spine tingling voice - we couldn’t have asked for more. Myself and Ciaran enjoyed & loved every single song she performed and have got so many comments about her brilliant song choices and her haunting voice. We would recommend Olivia not just a 100% but a 1000% to anyone. 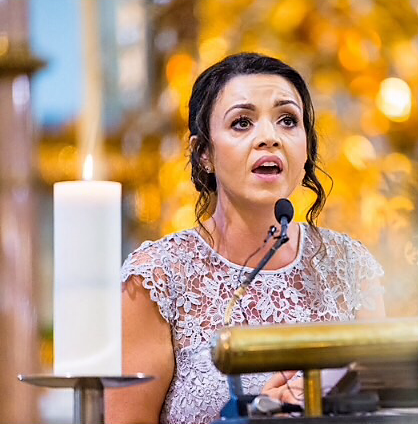 Olivia was a very important part of our 40th Wedding Celebrations – she added such a special feel to the church part of our day, with her fantastic voice and choice of music. From the get go she helped us with the selection of music, her location in the church to make the best impact, paying attention to my special wish to sing a special song for my deceased parents and being so attentive in many ways. If you want to make sure your music is 100% then Olivia is the one to go to. Thank you so very much. We booked Olivia for our wedding (03 March 2018) after hearing her sing at a wedding showcase. From the moment we first contacted Olivia she was so professional, friendly and accommodating. She provided great advice regarding song choices and no request was too much. Olivia learned our favourite songs for our ceremony and as with all of her work, she sang them beautifully. So many of our guests commented on Olivia's beautiful voice. In the week before our wedding it became clear that storm Emmma was going to have a massive impact on our day. In the middle of all the stress that came with this Olivia remained so calm and reassured me that no matter what she would be there, we will be forever grateful for this. We would definitely recommend Olivia and we hope to have the opportunity to hear her beautiful voice again very soon. 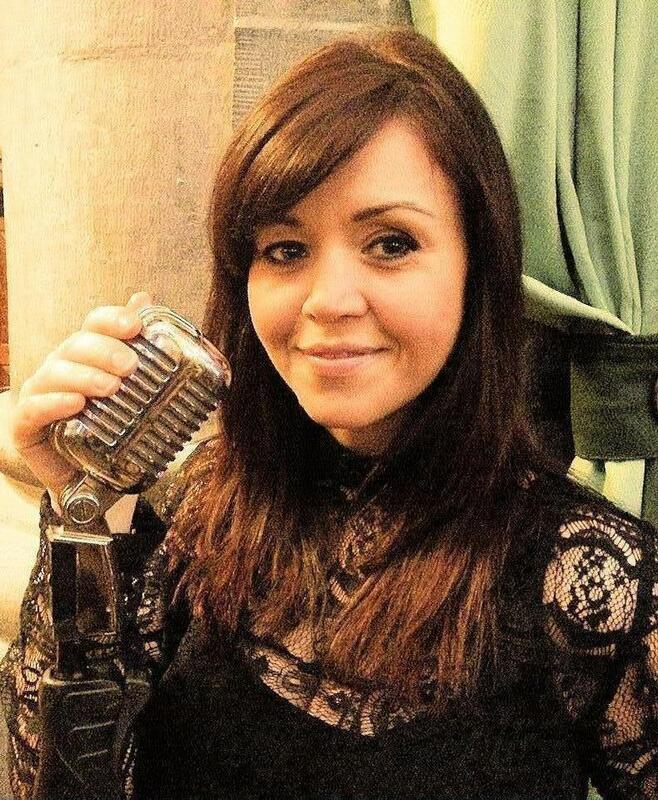 Olivia was so helpful the time of our wedding, gave us great advise and has an absolutely amazing voice, so many of our guests commented on her singing after the wedding, she was an absolute pleasure to deal with, would highly recommend ???? We had Olivia sing at our church wedding, from start to end she was amazing to deal with. Olivias voice is so beautiful, each and every song we had was note perfect. She was brilliant for giving us advice on what we needed to know for where, when and how many songs. When I walked up the isle to "I get to love you", which was sang so beautifully - there was plenty of tears in the church. Since our wedding we have attended friends weddings which Olivia also sang at where she was just as amazing. If there was 100 stars we would give it to Olivia. "Amazing" is the words myself and my husband used after the wedding along with our guests. From the minute we met Olivia we knew she would be brilliant. Her unique and lovely personality shone through from the beginning. Olivia guided us on what songs would be nice and I will never forget walking up the aisle and hearing her beautiful voice. Nothing was too much hassel for her and even when I was emailing and asking things she always was straight back to me. We would definitely recommend Olivia as she made our New Years Eve Wedding extra special by being part of it. I have to say that Olivia's singing in the church was one of the most magical parts of our big day. I thoroughly enjoyed listening to her as we proceeded with the ceremony. She even added in "Winter Song" near the end which made the ceremony so complete. Her version was flawless and so special as we got married in December. I highly recommend Olivia as she would make a wonderful contribution to the overall atmosphere of any wedding ceremony. Thank you Olivia. Thanks so much Caroline for your very kind words, the pleasure was all mine. I'll see you soon at your cousins wedding later this month. In the meantime, I wish you both all the love in the world. 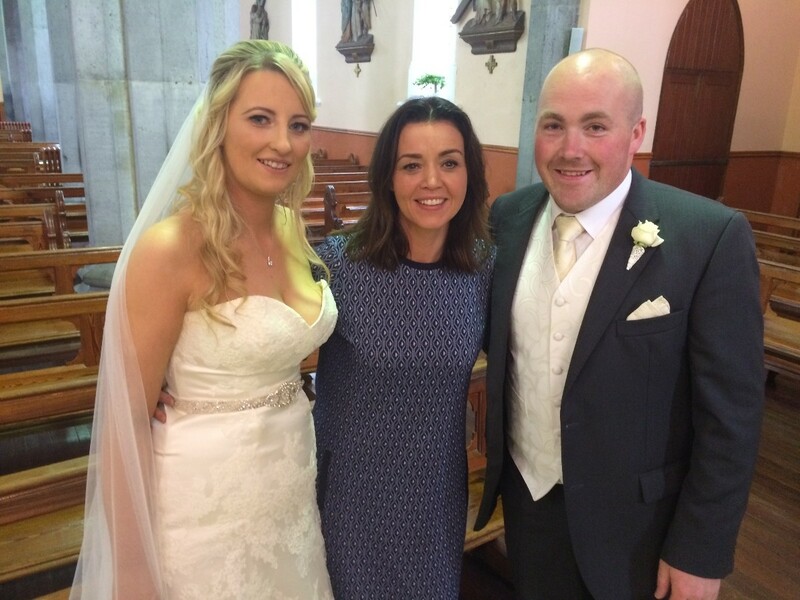 Thanks so much Pamela and Fintan, It was such a beautiful ceremony and a pleasure to be part of it. Wishing you both a lifetime of happiness together. myself and my husband seen Olivia sing at a wedding fair in and approached her straight away 18 months before our wedding. from that day she was 100% involved. she met up wit us when we asked. she returned calls texts and emails. on the day of our wedding she was amazing. it was more than we expected and we can't thank her enough. I would highly recommend Olivia to any1 looking for a wedding singer. I knew I wanted Olivia to sing at our wedding as soon as we started planning. I knew how talented she was after hearing her sing previously and loved her unique sounding voice. Once my husband heard her he was immediately convinced. Olivia was a great help leading up to the big day making me feel at ease and helping to choose the songs. She was also so responsive to emails as I was making all the arrangements from abroad so this made things a lot easier. On the day we were all blown away by her beautiful voice and it really made our ceremony special. Guests still talk about it and I can't wait to hear her singing our songs again in the wedding video. This lady is fabulous outstanding and a pleasure to deal with. I would 100% recommend her to everyone. Olivia from the first second we meet her was so open and friendly. I contacted her through Facebook and she was very quick to response back. 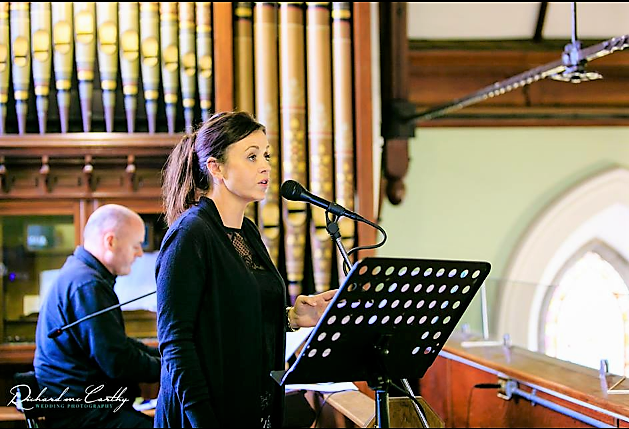 She was singing at a wedding in Sligo cathedral went we meet up with her and her voice carried fabulous so much so that we booked her there and then. We knew the songs we had wanted for our civil wedding so we gave her a list. Most she know but one she had to learn for us. We communicate over and back a few time. So closer to the wedding she phoned me to say that one of the songs of our list she feel like she wasn't going to gave it the justice it needed which was great that she did as we were able to pick another songs that worked alot better in the end. ( she was happy to sing our original song if we wanted but she wanted to be able to gave us Options). The bits I heard ( cause no matter how good you are as a bride you will not be able to take all the day in) were outstanding and overwhelming. She so done us and our songs justice. Many of our guest comments on her voice. Plus I ask her to play a song (groom didn't know about it ) before we started just to lighten to mood a bit and again this was no problem for her. Loved dealing with this lady. Olivia sang at our wedding on 4th Nov and she was just amazing. She is a lovely person to deal with and will accomodate your every need. I found Olivia online and booked her immediately without meeting her after hearing her hauntingly beautiful voice in samples. Her voice is exactly this beautiful in person. During my wedding ceremony she had me in tears nearly every time she sang and my favourite memories from my wedding day were how I felt listening to Olivia sing the songs we had chosen with care up on the altar beside my soon-to-be husband. It is a feeling and a moment I will never forget. Her voice has this beautiful celtic timber that makes songs in Irish or English sound so emotive and moody. I absolute love it. Aside from being an incredibly powerful and talented singer, Olivia is a the ultimate professional. From the moment I first contacted her she made everything easy. She booked the date for me on my first call, lead me through everything I would need and took the lead on guiding me in how many songs I needed, where they would go in the ceremony ect.. I knew nothing about this aspect of wedding planning and her guidance and knowledge was so reassuring. Payment was easy and simple and the value for money is fantastic. I would look forward to receiving an email or phone call from Olivia because her manner was so warm and friendly. I was based abroad for the duration of my planning and she made it so, so easy. She was easily one of my favourite things about my wedding. An unbelievable woman. Thank you so much Genevieve for your very kind words. It was my pleasure to be part of your very special day. I really enjoyed your father in law playing and he blended right in with us. I wish you both a lifetime of happiness. We had the pleasure of having Olivia sing at our wedding and also at our drinks reception. She performed beautifully, her voice is enchanting and she has a personality to match. From the first time we spoke with Olivia she was nothing but friendly and helpful. She guided us through choosing our music for the wedding and offered suggestions when we found it hard to make a decision and she did this with great patience as it happened a lot. My heartfelt thanks to her for her part in making our wedding a perfect and magical experience. Wow, wow, wow ..... words cannot describe the gratitude we have for Olivia for making our wedding ceremony so memorable. The passion that Olivia has for music was reflective in her stunning performance, and every moment she sang was truly breathtaking. Olivia’s warming distinctive tone captivated not only us but the hearts of all our guest from the moment the ceremony began. In addition, when some parts of our ceremony took longer than expected and our selected songs came to an end Olivia’s intuition and understanding of us as a couple was so apparent, when she continued to sing selecting additional pieces of music that fitted in so perfectly and that we loved. From the outset Olivia was so engaging, her bubbly friendly approach made us feel at ease the moment we met her and we knew she would be perfect for the style of wedding ceremony we wanted. On understanding our personalities and our desire for traditional yet timeless music she was able to suggest a range of music in both English and Gaelic that touched both our hearts and that meant so much to both of us. We could not recommend Olivia and the musicians she works with Donal Gray (Organist) and Joanne McAndrew (Violinist) more highly. The emotion that comes through in every piece of music, was more then we could every have dreamed of and any couples to have Olivia sing at their weddings will not be disappointed. From the bottom of our hearts we could not thank Olivia enough. Our advice to all couples ....booked her quick as her music will enrich your wedding ceremony. From our first contact with Olivia we were so pleased with how professional she was. We were very happy with her song list (which is vast and really covers everything) and the samples she had available for us to listen. It was effortless in every interaction with Olivia, and We were able to identify what songs we wanted for our wedding from her SoundCloud listings. She was very flexible and was updating her song list frequently. The day itself was amazing, effortlessly easy and we were delighted with how well everything turned with Olivia. She sings amazingly, and I'm delighted everyone enjoyed her voice which is haunting. Thank you Kieran, it was a pleasure to be part of your special day. I first met Olivia at a wedding fair and from hearing her I knew I had to have her for our ceremony. She was so helpful from the start and gave us so much great advice on picking our songs. Her singing on the day was magical, it added so much to our ceremony. So many people commented on our music and how wonderful it was. I would highly recommend Olivia. Thank you Mari for your lovely words, I'm so glad your guests enjoyed the music at your wedding ceremony, It certainly was an honour to be part of your very special wedding day. Wishing you both all the very best in the future. We had the most beautiful music at our wedding recently. Olivia is an extremely talented lady. I would highly recommend Olivia to anyone, she was very professional and extremely accommodating to any songs we wanted. 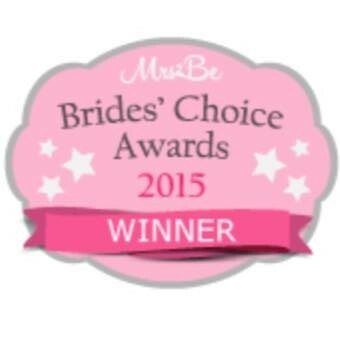 We were very very happy with our choice. 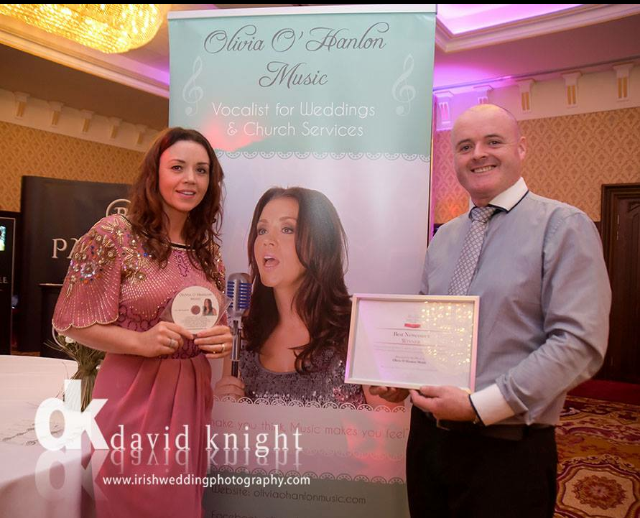 Oliva o hanlon sand at our wedding on the 17th of September such amazing voice it was so special for us there were lots of tears it was so emotional and beautiful we were delighted to have oliva sing she is such a loverly person and I would highly recommend her she is so talented ! Olivia was absolutely amazing to deal with, she was so helpful and professional. On the day she sang so beautifully. Olivia helped with the choice of songs and picked the most special ones for our special day. As soon as our date was picked I got in contact with Olivia straight away. I would highly recommend Olivia to anyone getting married. Olivia sang at my wedding ceremony and it really set the tone for the whole day, she was amazing. Everyone raved about how brilliant she was and even the priest, during the mass, told the congregation he had never heard a more beautiful version of one of the songs she sang. The moment I heard Olivia's voice I knew there was no-one else I wanted to sing, she is superb and the utmost professional. One of my favourite memories from the whole day is Olivia singing me up the aisle, it was magic. Thank you Olivia for making our day as prefect as it was. Thank you so much for your very kind words and for taking the time to write a testimonial for me. You looked amazing in your dress and it was an absolute pleasure to be a part of your special day. Thank you so much Sandra and Joe, the pleasure was all mine and it was so lovely to be part of your very special day. Thanks for having me share it with you both. From the first time I heard Olivia singing I knew I wanted to have her for our wedding, she has an amazing voice and covers a huge range of songs. Olivia was a pleasure to deal with and very helpful with song selection and advice. She was brilliant on the day and all the guests were commenting on how beautiful the music was. Olivia is a fantastic singer,she done a brilliant job at our ceremony and our guests were still talking about her voice the next day. Thank you Aidan, I'm delighted that you and your guest were happy with the music on your wedding day, it was my pleasure. Where to start!! Olivia was brilliant from the word go,her voice is second to none and can adapt to viritually any song,Olivia couldn't have done anymore for us on our wedding day,unfortunately my grandfather passed shortly before my wedding day so we wanted to include him by having his favourite song played during the ceremony,with hardly any notice(1 week) she learned and perfected the song and made it her own! We could never thank her enough.So glad we chose Olivia as our church singer and definetly would recommend her to anyone who is getting married! 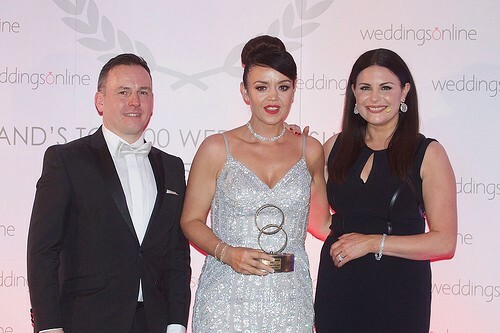 We are so happy we choose Olivia as our wedding singer, she has such a powerful pure Irish voice, we had so many compliments and guests asking who our wedding singer was and that she was outstanding. I would definitely recommend Olivia she was able to sing such a variety of music on our big day. Olivia has a hauntingly beautiful voice! She brought tears to many eyes during our wedding as her singing was so beautiful. Lots of our guests commented on how lovely her singing and the music was. Olivia was really great to work with, we live in Australia and Olivia rang to go through the song selection at least a month before the ceremony so it was one less thing to think about. I would highly recommend Olivia and if I had to get married all over again, I would only pick Olivia as our wedding singer. She is the best! Olivia sang at our wedding in August.. She is a great singer with a true talent and the voice of an angel. She is a true professional and was so accommodating in every way she went out of way to advise us on suitable songs and even took the time to learn songs we requested and also songs in Irish.. I would recommend Olivia highly to any couple who are looking for a weeding singer.. I know my wife was over the moon with her in every way. After researching wedding singers for our wedding, it was no doubt one of our best decisions to have olivia sing trought our ceremony , such a beautiful singer, with distinctive voice and high quality sound, and to top it off a beautiful personality, nothing was to much for olivia as she did songs especially for us that wasn't on her soundcloud, she is a true professional of what she does, with a raw talent that be hard to beat, a million thank you's it was a pleasure having you be part of our special day ?? 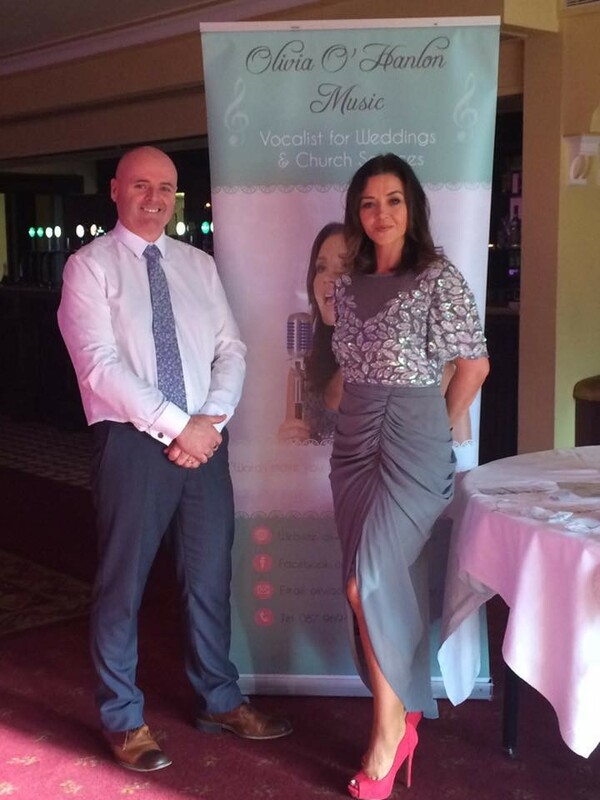 We had the pleasure of having Olivia singing at our Civil Ceremony in Castle Dargan last July. She was such a pleasure to deal with right from the beginning and even helped us with finding our wedding band for the reception. There was a particular song we wanted which Olivia hadn't sang before but she had no problem learning it off for us and singing it on the day! We would highly recommend Olivia and everyone commented on how fab Olivia's singing was in the day. We were so lucky to have Olivia sing at our wedding. From the first moment we heard her sing at another wedding, we knew we wanted to have her as part of our day. She has an absolutely amazing voice. We got so many compliments about Olivia on the day. She was so accommodating regarding songs, and extremely professional. She was a pleasure to work with, when planning our wedding. 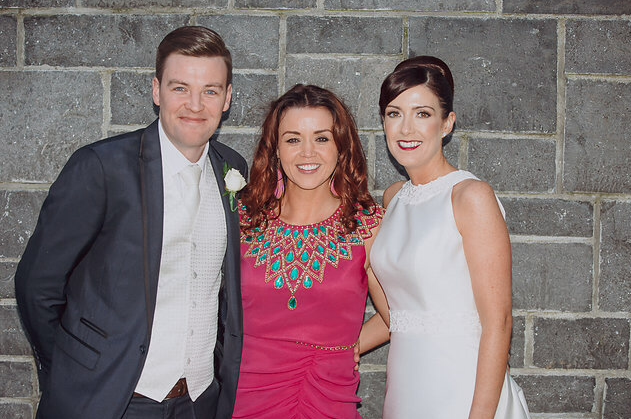 I would highly recommend Olivia and her pianist Donal to anyone planning their wedding. Olivia sang at our wedding ceremony and was absolutely fantastic. She has a unique voice that our guests complemented to us over the whole weekend! Olivia was very approachable, gave us great help with our song choice and was able to sing a range of different types of songs beautifully on the day. We would recommend Olivia to anyone looking for a professional, talented singer who can put you at ease and impress all of your wedding guests! Olivia was so easy to talk to and all booked over the phone. I choose all my own music and the choices and layout on her website is so helpful. Great guidelines and choices to mix and match to suit your own style. Would highly recommend Olivia. She is such a beautiful singer. Very professional. Played something to suit everyone on the day. Olivia was fantastic to deal with right from our first meeting. She was very helpful at suggesting songs for the various parts of the mass & very accommodating in learning new ones that weren't in her repertoire. When we suggested having some of our close friends sing the closing song with Olivia she loved the idea & kindly had the girls rehearse with her before the ceremony. We would highly recommend Olivia for your wedding. Olivia was a pleasure to deal with from start to finish! She has such a beautiful voice and made a part of our wedding day so special! If you are looking for a wedding singer for the church then Olivia is your lady! You won’t regret it! We were delighted to have Olivia sing at our wedding in April. We loved the music on the day and had so many guests comment on how beautiful it was aswell. She was a pleasure to deal with from the beginning. I would highly recommend Olivia. I'm so happy that you and your guests were happy with the music. It was lovely to be part of your special day. Olivia’s stunning voice added so much to our wedding ceremony and many of the guests commented on this to us on their way out of the church. In particular, I remember that as she began singing ‘A Mhuire Mhathair’, there was quiet throughout the church as everyone listened. From the beginning, Olivia provided advice on suitable songs for different sections of the Mass which helped so much when we first approached this daunting task. Olivia has an extensive list of songs but she also took on learning Lisa Hannigan's ‘Passenger’ at our request and performed it beautifully. Thanks so much Marcella & Noel for your lovely comments, the pleasure was all mine. Wishing you both all the very best in your future together. We cannot thank Olivia enough for being such a special part of our wedding ceremony. She is such a talented lady, a truly amazing voice and a pleasure to work with. We will definitely be recommending her. From the first contact to our special day Olivia was so professional, helpful and so lovely to deal with. I found her so approachable when needing help with song choices for the church. Her experience meant she knew what kinda songs our priest liked which made planning the ceremony much easier. 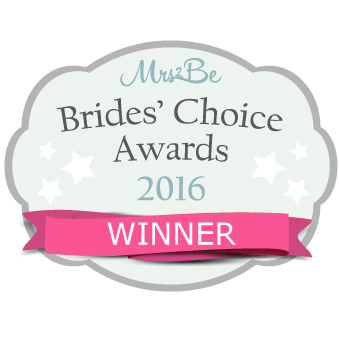 I found her great value for money and all my guests praised the music and atmosphere on the day. Would highly recommend. We can’t thank Olivia enough for her beautiful singing on our wedding day. From our first contact with her she was so helpful. We live in the UK but she made everything so easy. I love music and wanted our wedding ceremony to be extra special for our guests. I wanted to include a family in our ceremony to sing a song. Olivia met with her and rehearsed before our wedding day so that he was relaxed and everything went smoothly. This meant so much to us. She really went the extra mile to make our day special. Words can’t really describe how amazing this girl is and to be honest her you tube clips don’t give her the credit she deserves. She’s even better live if that’s possible. Some of my guests mentioned that she had the hairs standing on their neck. She was by far one of my best and most memorable wedding supplier. I can’t recommend her enough to anyone looking for a wedding singer. I honestly cannot say enough good things about Olivia as our wedding singer. She was so helpful to me in choosing our songs, prior to the big day. She was really organised and professional contacting me well in advance of the wedding date, had an extensive list to choose from, and offered to learn any long I requested. I really felt confident dealing with Olivia that everything would run smoothly on the day. On the day itself the ceremony was beautiful and Olivia's singing set the tone. One of my guests told me, at the reception that evening, that the best thing I did when organising my wedding, was booking our wedding singer, and I can honestly say I agreed with them. She is such a pleasure to deal with, and is so talented. I would highly recommend her, ( and have done numerous times since actually!). Olivia was fantastic from the moment we got in touch to request availability. She gave me such confidence that I knew the music would be flawless on the day and it was! She was so accommodating and I was delighted after the ceremony to be complimented so much on my choice of musician. Olivia was very flexible and so helpful with our song choice. She had no problem with learning two new songs that had great meaning for us as a couple offering a choice of different musicians and instruments. What a beautiful voice and a really lovely girl. Everyone at our big day was commenting on the quality of the music...would highly recommend Olivia. Thank you guys for taking the time to send in a review for me. It was a pleasure to sing for your very special wedding ceremony. I wish you both all the very best in the future. Olivia sang at our wedding November 2016 I would highly recommended Olivia to any bride and groom planning their big day. Olivia has an amazing voice (what talent ),personality to go to very professional and what a pleasure to deal with from start to finish. Olivia was so helpful from the first point of contact and really assisted us in picking some suitable songs as well as our own choices. Olivia offers a great range of songs to choose from. Her voice is absolutely amazing and got loads of compliments from our wedding guests. I would have no hesitation in recommending Olivia as a top class wedding singer. From start to finish Olivia was an absolute god send, my Wife and I have very very different taste when it comes to music, therefore finding it difficult to pick songs and music throughout the planning. We met up with Olivia who simply took our different tastes in her stride with no panic or fuss and helped us to come to the perfect compromise, with her wealth of expertise, range of songs/music, talent and most of all patience. I would not consider even listening to anyone else when picking a wedding singer or for any event for that matter. TOP TOP CLASS, and had all our guests astounded by her beautiful voice. 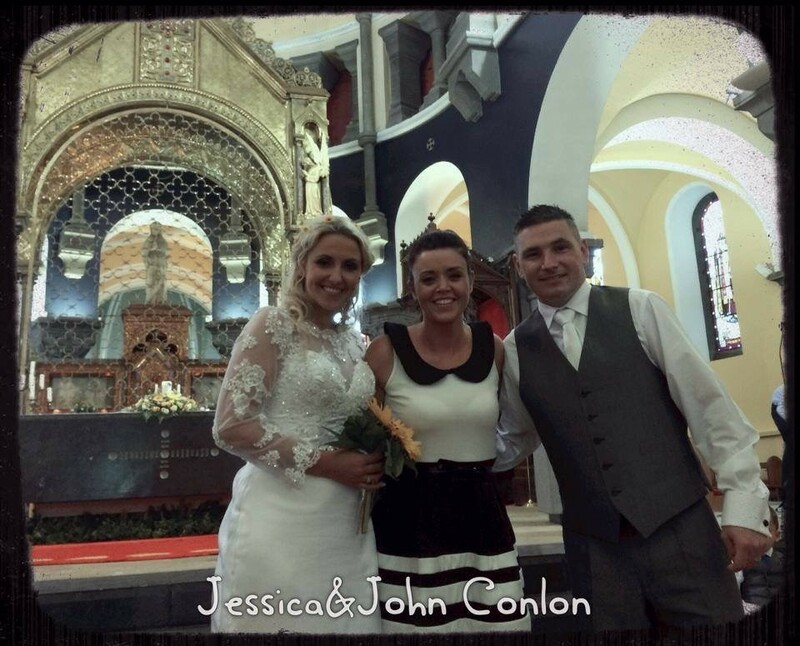 Thanks so much John for your amazing review, it was my pleasure to be part of your amazing wedding day. Wishing yourself and Catherine all the love in the world, you both are a great couple. Olivia sung so beautifully on our wedding day. She brought with her a super piano player who enhanced the music so much. All our guests were blown away by the professionalism Olivia brought to our wedding. I'm nearly sure that two of our friends have Olivia booked for they're own weddings in 2018/2019....Go Olivia !!! When I first heard Olivia's voice on her website I just knew I had to have her sing at our wedding. Firstly because her voice is absoutley amazing and secondly she has a brilliant choice of varied songs she can sing. Olivia was so flexible with our choice of songs and even learned a new song that we loved, which I walked down the aisle to. Our guests were all saying how brilliant she was. I would 100% recommend Olivia to any future couples. Olivia was brilliant on your special day. 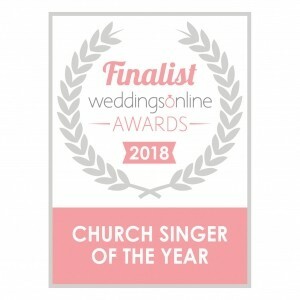 She has the most amazing voice and it made a massive difference in the Church as you could tell she was 100% Professional and super responsive to all my emails coming up to the big day. I could not recommend olivia highly enough. She was amazing to deal with and was always very giving with her time when ever i called to discuss the wedding music. She really wanted to help make it very special for me. I requested a song that she had to learn and she sang it as i walked up the aisle. I will never forget that moment . She made my day. Her voice was amazing. An amazing singer and a lovely person! I have known olivia for a number of years as I live in sligo Also and always though she was an unbelievable singer so when she went professional i couldn't wait to book her for my wedding over a year in advance there is no one comes close to her Vocal range and ability, her style of singing is just fantastic it really would suit anyone's taste , not only has an incredible and beautiful voice she is a genuine lovely person , she really takes on board what you want as a customer and does not fail to deliver , the church was in Awh and honestly bring a tear to your eye her voice is so pure . Thank you so much olivia for all your hard work you are a true professional and you will be more than delighted with her she's on another level for sure ???? Olivia was fantastic on our special day. Communication was great on the run up. She made choosing songs a breeze with her professionalism. Would highly recommend Olivia to any couple. Olivia was amazing from start to finish. She was so relaxed to deal with it and nothing was too much to ask of her. She has such a beautiful voice. So many people that attended the ceremony complimented the music. I would highly recommended her to any couple. Simply the best in the business. Olivia has a lovely tone and style that's so unique. She sings so sweetly, and still to this day our guests are still talking about her. Every song she sings with such professionalism. Olivia in our eyes is a must for any couple getting married.. 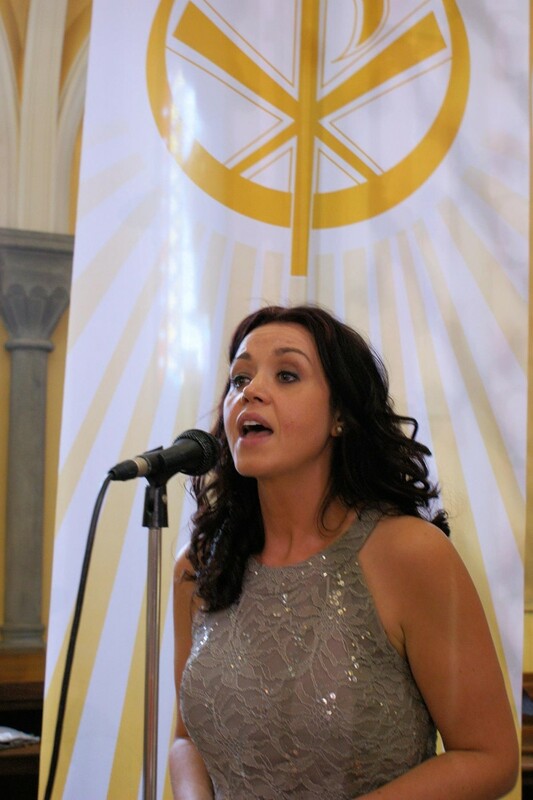 Myself and Glen had the pleasure of Olivia O'Hanlon singing at our ceremony in the church. Her voice is so beautiful, it brought us chills. We had some unusual songs that we liked to have sung at the church. Olivia took each of them on and nailed everyone of them. All our guests commented on the church music. I would highly recommend Olivia O'Hanlon music to any couples getting wed. She won't disappoint. Joanne & Glen, it was an honour to be part of your special day. Wishing you both all the very best in the future. Olivia sang at my wedding , she has such a beautiful amazing voice and really added to creating a perfect ambiance on our special day. I would highly recommend Olivia she has an amazing voice and a personality go match! She is very professional in what she does and offers fantastic guidance in choosing the right songs. We had the absolute pleasure of having Olivia perform at our ceremony at Ransboro Church, a winter wedding in December. From booking Olivia initially she was so involved in ensuring we were happy with song choices for our special day. Her performance on the day was amazing and it made our wedding so special and so many of our guests were enthralled. We cannot recommend her highly enough for the performer she is and the warm and bubbly person that you get to deal with. I would like to take this opportunity to Thank Olivia for her amazing performance at our Wedding in Slane Church on 14th November. You did an absolute fabulous job, we were thrilled with how it all went . From the moment i spoke with you on the phone, I could trust you were going to pull out all the stops. You had made an extra effort to learn songs that we had our heart set on , which really shows your talents and love for your job. Everyone commented on how beautiful you sounded and you made an extra effort to speak with our close family at the start of the ceremony, which was lovely and personal. You are very professional and i would highly recommend you to anyone . Thanks for everything Olivia and we wish you well in the future. Olivia, The biggest thank you for making our wedding mass so fantastic. The amount of people who were praising the music just goes to show how brilliant you were. At the ceremony you were simply amazing everyone in the church was blown away by your beautiful voice. Your professionalism was evident from start to finish. From helping with song choices and suggestions beforehand to your efficiency on the day. We really appreciate everything you did to contribute to making our day so memorable and special. All that's left to say is that we highly recommend you and wish you all the best for the future. 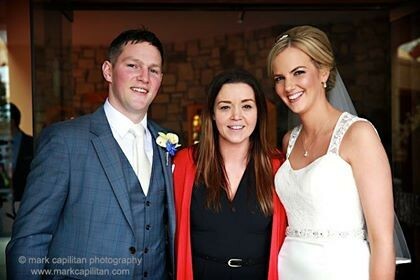 Your more than welcome Caitriona & Alan, it was my pleasure to be part of your wedding ceremony. Wishing you both a lifetime of happiness together. I cannot compliment Olivia enough for her fabulous singing and how nice she was to deal with. So professional, so helpful and what a singer. I had about 5 friends looking for here number after our wedding!! People couldn't say enough about the church music and even if your not into music it is very important, but rest assure Olivia will help with every aspect of the music. Olivia sang at our wedding last month and she sang beautifully. I can most heartily recommend Olivia for anybody looking for a wedding singer. Thank you Owen for your kind words. Wishing you & Catherine all the very best in the future. We can't thank you enough for the most fabulous singing I've ever heard in our church! You were amazing and walking up the aisle to 'A thousand Years' was like it was the actually Christina Perri singing it herself. The whole ceremony was fabulous and how you sang each song was pitch perfect. From the very first phone call to the day before the wedding, you were a true professional. We never once worried about your capabilities and knew that you had everything under control. We felt totally at ease the whole time. Everyone commented on the beautiful singing and said how amazing you were. THANK YOU SOOO MUCH!!!! You made one of our most memorable days even more amazing and more unforgettable!